The sun was B E A uuuuuutiful today just in time for rest day. 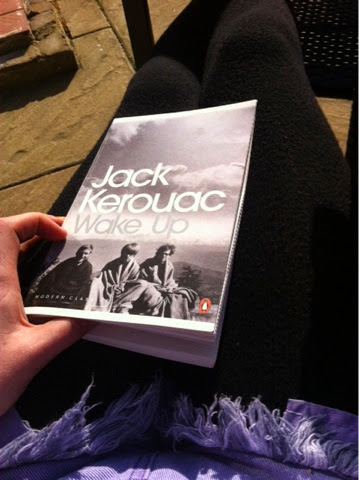 I've just started Jack Kerouac's Wake Up which is based on the story of the Buddha and forming Buddhism today. I love both the author and the subject so I'm sure I'll enjoy it but even the little bit that I've read, the style of writing has me hooked.